Irish internationals Paul Stirling and Kevin O’Brien look ahead to new challenges on the eve of joining the Kandahar Knights, a franchise team established for the inaugural year of the Afghanistan Premier League T20 competition. "I am looking forward to getting out and joining high-quality players from different countries and backgrounds to see how they go about their business in T20 cricket." "I played with [Knights captain] Brendon McCullum previously at Middlesex. Baz is a very relaxed character who gets the best out of his players by giving them the ability to play with freedom and without fear of failure. He’s someone who leads from the front and sets the example - which we saw during the recent CPL campaign where he captained his side to their second successive title. Hopefully he can help do the same with Kandahar." "Another old team mate Wahab Riaz is in the Kandahar squad as well. He’s bowled some of the fastest spells I’ve seen, so I expect he’ll play a huge role on the Sharjah pitch that doesn’t usually offer much to the bowlers." Asked whether participation in such T20 tournaments would benefit the national team, Stirling said: "With the World T20 Qualifier around the corner next year, I think it’s really important to have Irish players at these tournaments, bringing the experiences gained back into the Ireland set-up." "We’ve seen how it has improved the Afghanistan side inside two years where they have had a handful of players play in the Big Bash and IPL getting used to playing day-in day-out against the best in the world, in front of full houses and always on TV." "Hopefully we [Ireland] can produce more and more cricketers who can play in these competitions in the future to keep up with how quickly this format of the game is progressing." Dublin-born O’Brien, 34, received a welcome phone call last week and today advised he will fly out shortly to join his new team-mates at the Knights: "I’m delighted to be heading over with Stirlo [Paul Stirling] to Sharjah to join the Kandahar Knights. The call came late last week that I was being offered an opportunity in the APL and it took a matter of seconds for me to say ‘yes’." "I’ve played in T20 tournaments in England, the Caribbean, Bangladesh and recently as part of the Global T20 Canada tournament. Each of these experiences have given me the opportunity not just to refine my game, but also take stock of my approach and thinking in this format. "T20 cricket has developed into a game that rewards creativity, initiative and the versatility to adapt quickly to rapidly changing circumstances, however it is the opportunity to put these skills into action on the pitch that is important." "I’m very much looking forward to playing under Brendon McCullum [Kandahar Knight captain] – he’s a captain who encourages his team to have confidence in yourself and express yourself on the field, whether with bat or ball in hand. As for my new team-mates, when you are sitting in a dressing room surrounded by some of the world’s elite cricketers, you can learn so much in their mindset and approach to playing and training. That’s the beauty of franchise cricket – you get to play with a wide range of cricketers that you would previously never have had the opportunity to." "As Ireland’s profile in the sport continues to rise, my hope is that more young Irish cricketers will play in these T20 tournaments. 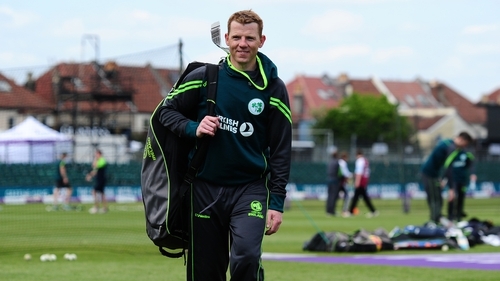 Exposure to these competitions, and playing alongside some of the world’s leading players, can only be a positive for Irish cricket in the long-term." Niall O’Brien has confirmed this morning that he will no longer be taking up the batting coach role offered by the Kandahar Knights.